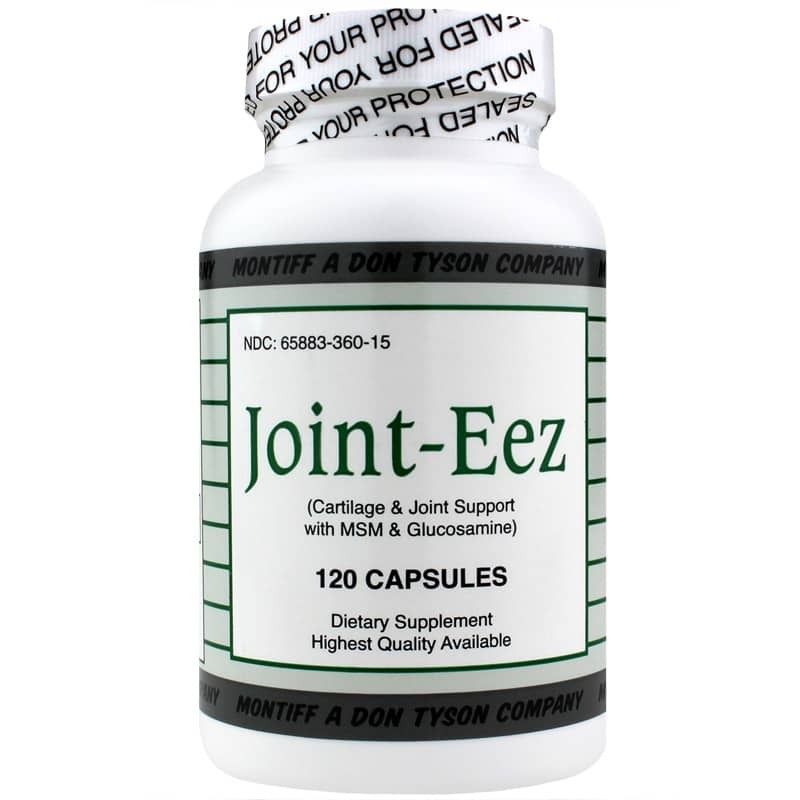 Montiff's Joint-Eez is a natural joint support formula that may help reduce pain, as well as help with repairing collagen and cartilage. 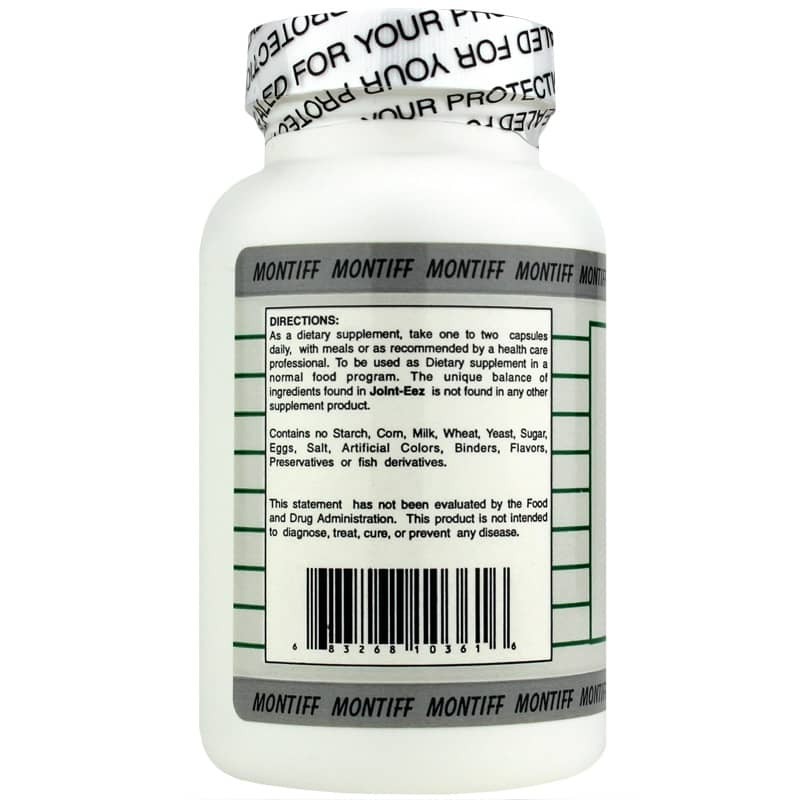 This supplement contains MSM, which is an easily absorbed organic form of sulfur, as well as two forms of glucosamine and other nutrients, including antioxidants. Your joints are complicated structures that connect bones to allow for movement. And an easily absorbed organic form of sulfur, MSM, or methylsulfonylmethane, is an essential mineral for connective tissue and bones, and is especially important for healthy joints. It is found in a variety of foods. The highest amounts are in meats, seafood and milk, with smaller amounts in some vegetables. MSM is absorbed into your body and transported to your joints, where it helps to produce cartilage and collagen, as well as reduce the risk of tissue breakdown. MSM may also help inhibit pain impulses along nerve fibers through an analgesic effect. And by helping to reduce muscle spasms and swelling, it may further help with pain caused by these conditions. MSM may also inhibit histamine activity, reducing allergy-induced symptoms. Sulfur is known to affect the production of immunoglobulins, which are necessary for proper immune function. Research also suggests people with arthritis may have low levels of sulfur. And MSM stimulates your body's production of glucosamines, which requires sulfur to metabolize. A naturally occurring substance in your body, glucosamine is a component of cartilage and helps form proteoglycans, which are responsible for its springy resilience. It plays a crucial part in the maintenance and repair of joint tissue, including tendons and ligaments. In addition, it enhances the production of hyalironic acid, which helps produce the synovium fluid for lubricating the joints. 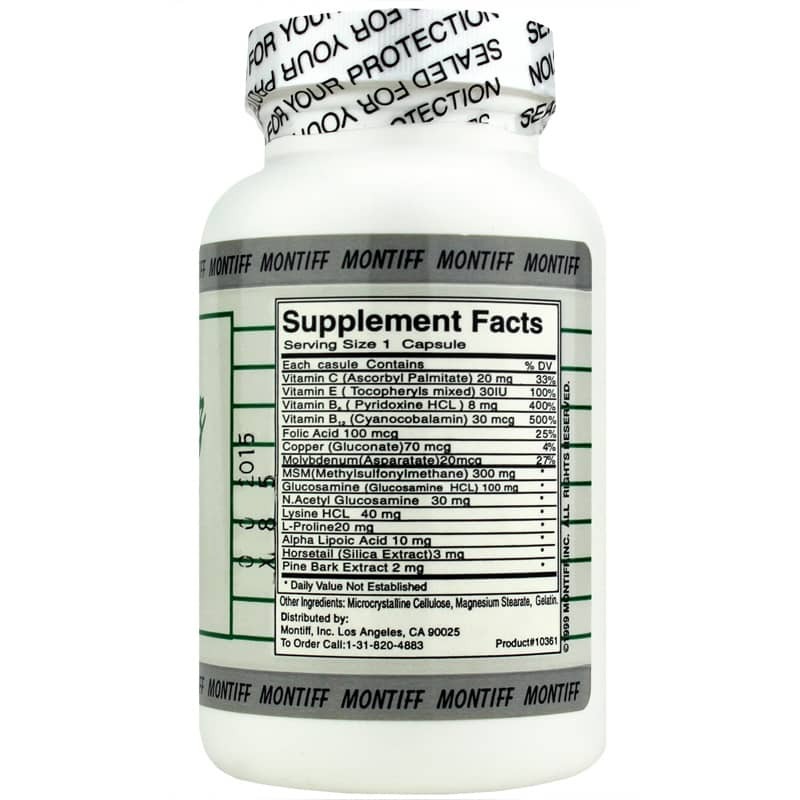 As glucosamine needs sulfur to metabolize, it may be more beneficial when combined with MSM. Adults: As a dietary supplement, take 1 to 2 capsules daily with meals or as recommended by a healthcare professional. To be used as a dietary supplement in a normal food program.